Heena and Nitin Morar are the parents of six-year-old Ishan who will be starting Grade 1 in September. Ishan is among the local Okanagan students from Junior Kindergarten to Grade 6 UNISUS will welcome for the 2018-2019 academic year. Construction of a dormitory to accommodate 100 students from around the world and across Canada starting with the 2019-2010 academic year is underway. Upon completion of the dormitory, UNISUS will be the only international school in Western Canada offering Junior Kindergarten to Grade 12 programs and weekly and fulltime boarding. “It’s important to us to ensure cultural exposure as much as possible,” Heena said. The school’s trans-disciplinary curriculum focuses on STEAM—Science, Technology, Engineering, Arts, Mathematics--and inquiry-based learning. Science tells students how things work, technology gives them the tools to do the tasks and engineering the skills to solve problems. Mathematics provides the ability to communicate through numbers. 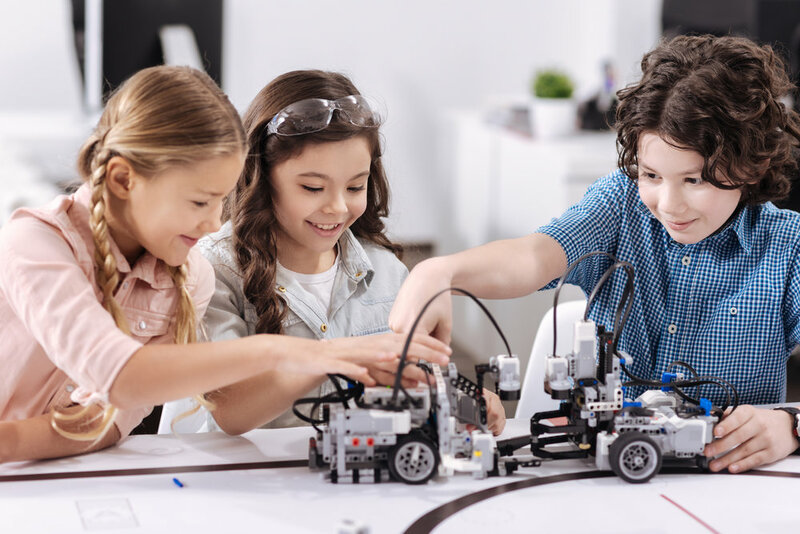 The innovation laboratory is fundamental to the UNISUS concept of creating hand-on ways that encourage students to design, experiment, build and invent. In the lab, Ishan and his classmates will learn such skills as how to code in Minecraft, make music on Raspberry Pi and build a video game. The arts allow for personal expression whether through painting, music or words. Language proficiency, another pillar of the UNISUS program, is important in educating global thinkers and leaders. “We like that there will be a variety of language classes such as English, Spanish and Mandarin,” Heena said. Spanish and Mandarin classes start in Kindergarten and Junior Kindergarten students can learn to sing and count in both languages. Competency in English, Spanish and Mandarin will allow students to communicate with over 90 per cent of the global population. UNISUS aspires to become an International Baccalaureate school and this year will be seeking candidacy status for the primary years program. The International Baccalaureate continuum of international education for 3 to 19-year-old students is unique because of its academic and personal rigour. “The Primary Years Program prepares students to be active participants in a lifelong journey of learning,” Cindy said. For students aged 3 to 12, the PYP focuses on the development of the whole child as an inquirer, both in the classroom and in the outside world. The most significant feature of the PYP are six transdisciplinary themes which incorporate local and global issues into the curriculum and allow students to go beyond the traditional boundaries of subject areas. The themes are: What we are. Where we are in place and time. How we express ourselves. How the world works. How we organize ourselves and Sharing the planet. feature of a UNISUS education. “Overall, we get a feel for a positive and nurturing environment which is most important of all!"